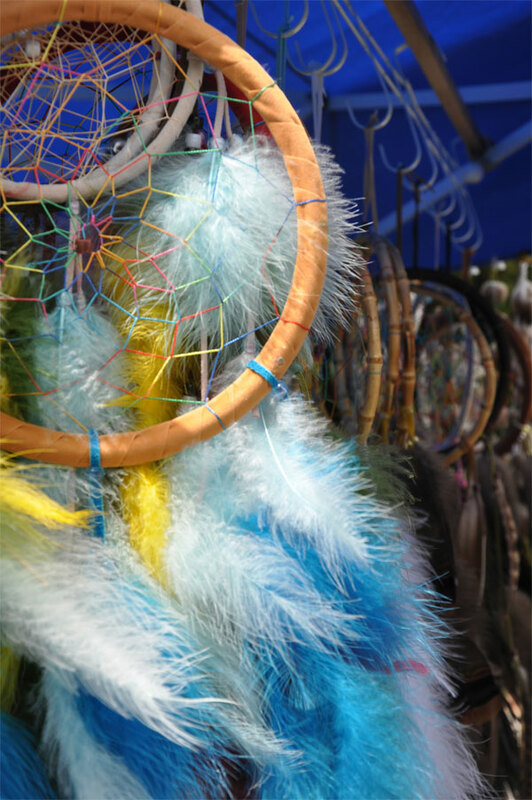 The Indigenous Women’s Alliance (IWA) and the Ethnic Studies Department put on a successful Mills College Pow Wow, an event celebrating Native American culture, on Saturday, April 16, despite cuts in funding. The Provost’s Office reduced Pow Wow funding from an intended $5,000 to $2,500 this year given “dire economic circumstances,” according to email from Ethnic Studies Professor and IWA advisor Melinda Micco. Shunkila Black Calf, an IWA leader, expressed her dismay at the decreased financial support. Provost Sandra Greer writes in an email that her office did not intend to send that kind of message. “There has been no deliberate reduction in support for the Pow Wow. Our office is happy to help and we do help,” Dr. Greer writes. Dr. Micco said that Dr. Greer and the Provost’s Office are supportive of Native events. Mills College Pow Wow expenses are paid each year through a collection of gifts plus money from the Provost’s Office, according to Dr. Greer. Black Calf said that the Pow Wow budget has taken a nosedive over the years. About 2-3 years ago, the Provost’s Office dedicated $8,000 per year to the Pow Wow. Over time, the annual $8,000 allocation got cut down to $5,000 before finally settling at this year’s $2,500, according to Black Calf. Black Calf said she’s not sure who in the Provost’s Office makes these funding decisions. “There hasn’t been a lot of communication directly between IWA and the Provost,” Black Calf said. According to a representative of the Provost’s Office, IWA is one of the few student organizations that receives special funding from the Provost and the reduction in funding was necessary because of budget cuts within the administration. A little less than three weeks before the Pow Wow, Black Calf and fellow IWA leader Ciera Cummings asked the Associated Students of Mills College (ASMC) for about $2,500 to cover the event’s remaining costs, which they received. Cummings said that consistent, reliable funding is key to having the Pow Wow every year, and is key to supporting the Native community on campus and in the Bay Area. Black Calf sees the Pow Wow event as an opportunity to reach out to the larger Native American community in Oakland. Many colleges, such as Stanford University and California State University, Long Beach, host a Pow Wow if there’s a Native American student group on campus. At the Pow Wow, Native artists and cultural practitioners showcased their traditional crafts, dances and songs. The Pow Wow coordinators offered participants honorariums and prize money. Black Calf said it feels good to help the Native community carry on its traditions. “In financially hard times, people can tend to neglect hobbies and the art that they do and other extra curricular activities they participate in when they don’t have that financial stuff weighing on them,” Black Calf said. The Pow Wow is also important when it comes to recruiting and retaining Native students, Dr. Micco said. Black Calf said she would like Mills to recruit more Native students so they can have a stronger community. “It’s really lonely sometimes being (one of) the only Native student(s) on campus,” she said. One percent of Mills undergraduates have identified as Native American from 2006-2010, according to the Mills College Facts and Trends 2010 report from the Office of Institutional Research and Planning. The Office of Undergraduate Admission recruits all students of color, according to an email Media Relations Manager Pam Scholtz sent on behalf of Dean of Undergraduate Admission Giulietta Aquino. Several Bay Area high schools have been identified as schools which have significant numbers of Native American students, and admission counselors regularly visit and attend college fairs at some of these high schools throughout the recruitment season, Scholtz said. Black Calf said she knows there are lots of talented Native students who’d like to come to Mills, but they need to have scholarships to make it easier for them to choose this college. IWA is a really small group, Cummings said. She and Black Calf are the two students who organized the event, and four other IWA members help when they can. Black Calf said that if this small group can pull off a Pow Wow for two consecutive years, even greater things could happen if Mills had more Native students.